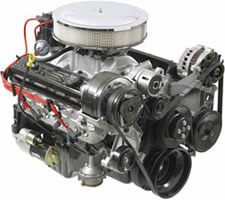 GM Performance Parts designed our Fast Burn aluminum performance cylinder heads for small-block applications just like our Fast Burn 385 turn-key crate engine. Engineered to meet the demands of a hungry small-block with an aggressive camshaft, the Fast Burn cylinder heads are the featured component on this awesome small-block Chevy crate engine that blends the ZZ4 350 short block with the latest in cylinder head technology. With this hot, new turn-key option, all you need to do is install it, add the fuel, add 12V power, and go start some trouble. Rated at 385 horsepower and 385 lb.-ft. of torque, the Fast Burn 385 is all ZZ4 inside the crank case including the forged steel crankshaft, hypereutectic pistons, and steel hydraulic roller camshaft. Thanks to a set of the GM Performance Parts Fast Burn cylinder heads, that same short block breathes deeper and more efficiently than ever. These heads have the exclusive Fast Burn combustion chamber design to maximize the efficiency of burning the air/fuel mixture more quickly and completely—resulting in an impressive increase in power. The Fast Burn 385 Turn-Key is delivered to you with an aluminum dual-plane water intake manifold, HEI distributor, cast iron water pump, damper, and flexplate. It also includes an accessory drive package, fuel pump, chrome air cleaner kit, Holley 750-cfm carburetor, starter, and spark plug wires. That’s a lot of horsepower in one box—we hope you can handle it! 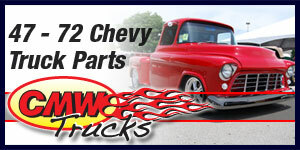 Requires fuel line from fuel pump to carburetor. Fuel pump pressure is pre-set, fuel pressure regulator not required.